The death of infants: a skeleton representing Death grabs and eats infants who die innocent of vice but unendowed with the theological virtues. 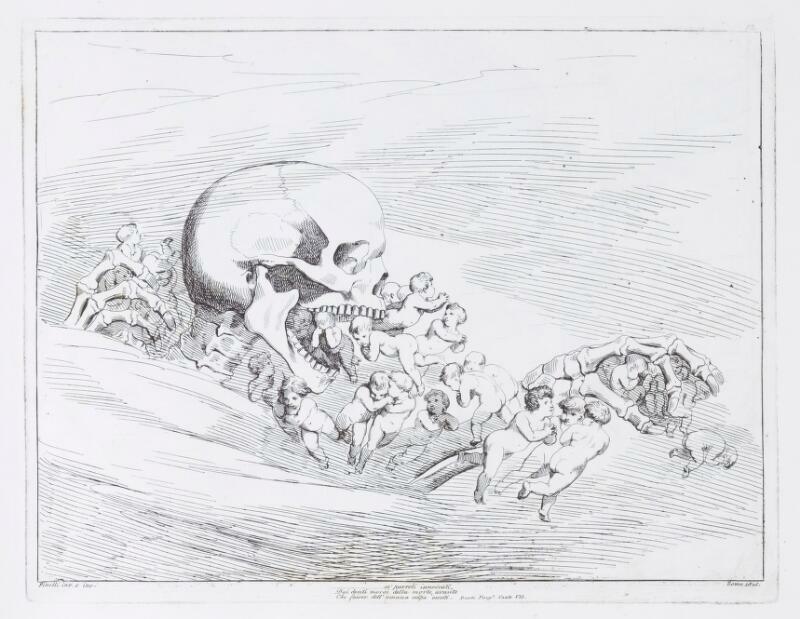 Etching by B. Pinelli, 1825. Roma [Rome] : [publisher not identified], 1825.